 I had planned a weekend BBQ trip and I woke up torn, do I want to go to another Top 50 joint to add to my passport or drive 65 miles out to Maypearl, TX and try the new kids on the block. I decided on the latter. I arrived about 10:45 AM on a Saturday morning and parked at the nearby and legendary Busy Bee Café where I have dined numerous times. There was no visible line, so we waited in the car until 11 AM so we weren’t “those people” trying to get in early as they prepped. I knew the joint was small, but had no clue until we walked in. As soon as you walk in the door you are greeted immediately with the counter and to the right a small counter for dining for about 3 people. 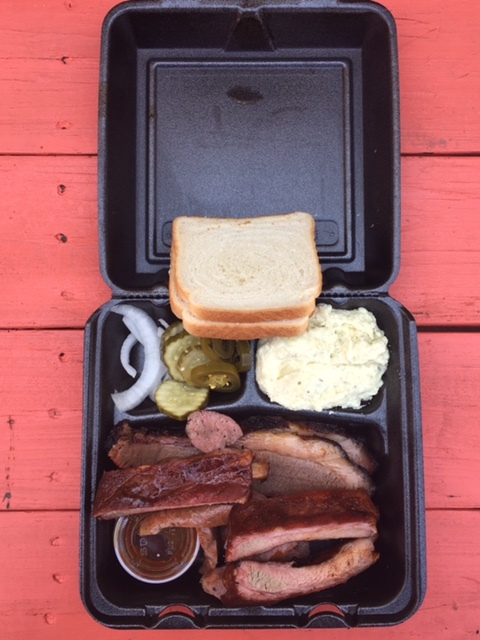 I placed my order of a 3 meat plate (brisket, ribs and sausage) and a quarter pound of pulled pork and potato salad and beans on the side. Ten minutes later my food was ready and I went outside and sat at one of the picnic tables out front. The brisket had a light oak smoked flavor. It was extremely moist but had a slight roast beef flavor, but still enjoyable. The ribs were cooked perfectly with a nice pull from the bone and with a sweet glaze. Their sausage, which is made in house, was nicely smoked. It wasn’t greasy, yet still moist, and slightly peppered. It wasn’t my favorite sausage, but my wife loved it. I finally got around to the pulled pork and it was perfection. Not since the first time I had Evie Mae’s have I been so excited about pulled pork. I actually finished my meal with a pulled pork fold over from the sliced bread that came with my meal. As for the potato salad and beans, they were good but nothing out of the norm from what you get elsewhere. Overall I’m impressed with Shortline and I see a time in the future when people will laugh at the irony in the name as they wait in a line wrapped around the side of the building. I encourage anyone who wants to try something new and not on the Top 50 list to check out Shortline. The food was always great, I think they just updated their menu and it's off the hook. Who would expect delicious pizza at such big events. Not me, but you can get some of the best pizza there. The best venues in Chicago area.